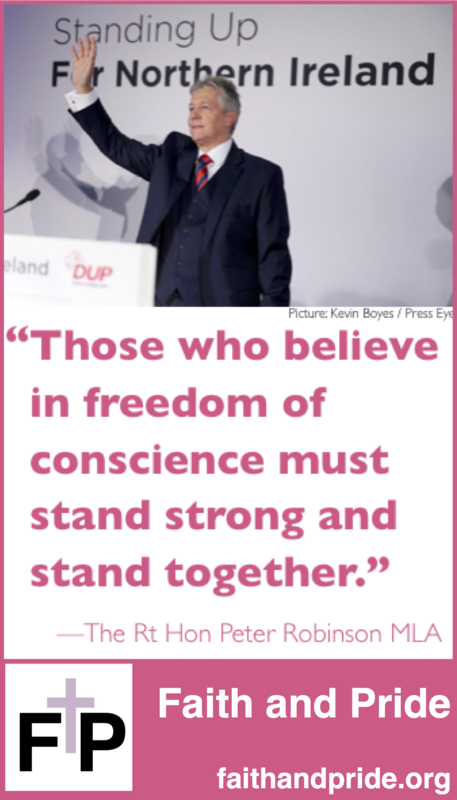 Posted on 9 March, 2015, in Conscience Clause, Marriage, News and tagged conscience clause, dup, equal marriage, freedom of conscience, freedom of religion, gay cake, gay marriage, peter robinson. Bookmark the permalink. 2 Comments.